Soft top, gated shifter, and a Ferrari badge on the cheap—what's not to love? Despite its desirability for its '90s nostalgia, the Ferrari F355 falls into the price category of Ferraris that actually lose value after being sold—not the other way around. Thankfully, that means this is the perfect time to buy one and pretend that you're cruising through Miami like it's 1996. 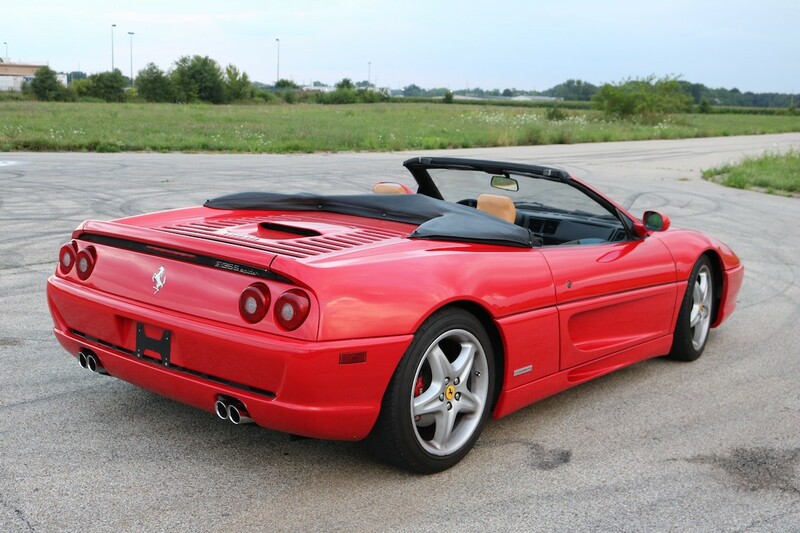 This manual 1996 Ferrari F355 Spider posted on Bring a Trailer Monday is the perfect affordable Ferrari, currently sitting at around $50,000 with the end of the auction next week. 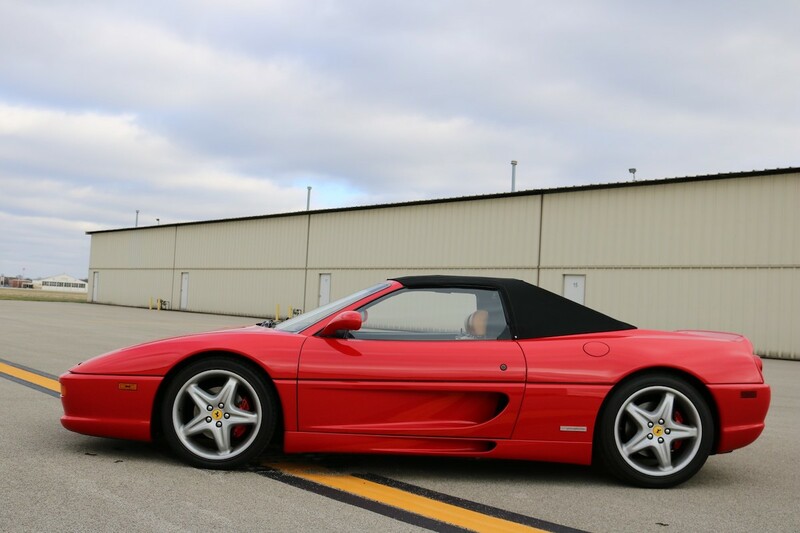 With only 38,000 miles, this particular F355 has been well-cared-for, showing a clean Illinois title and no accidents despite having four owners. 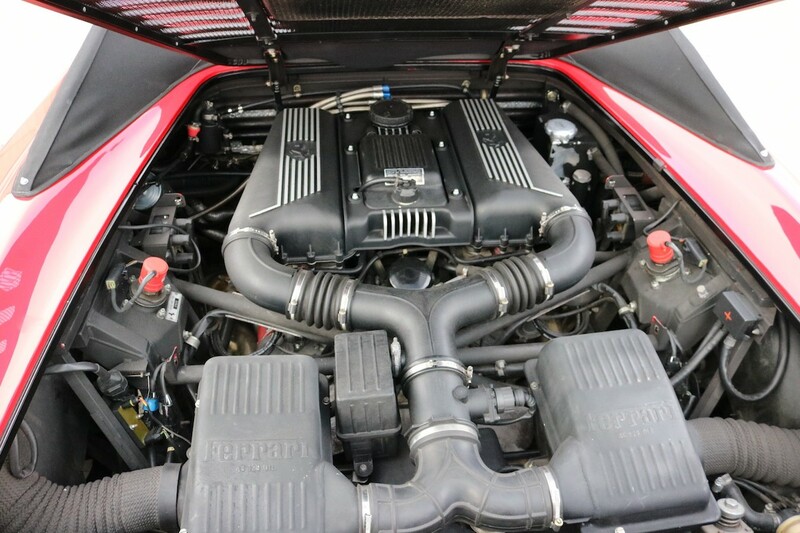 BaT says that the 3.5-liter V-8 has been well-serviced and should still make roughly 375 horsepower. The car has had all of its known-to-fail parts replaced during its servicing earlier this year as well, so owners can rest easy knowing that this car isn't likely to leave them stranded. 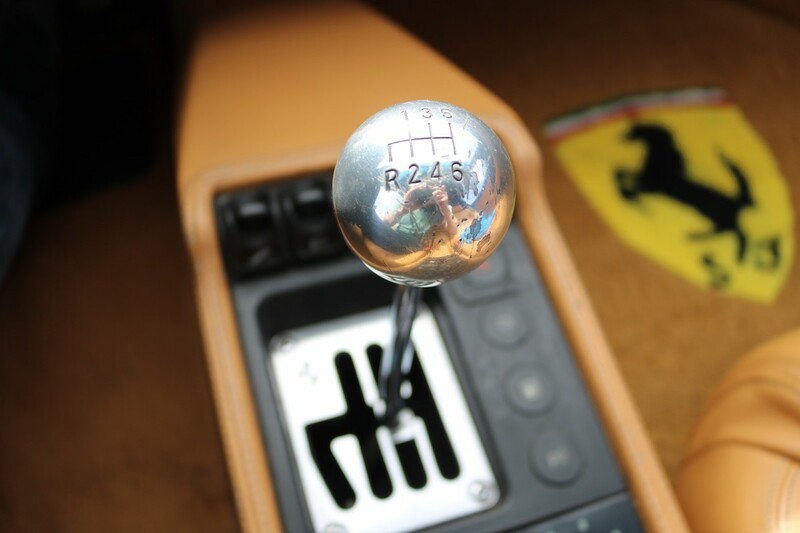 The F355 also retains its sought-after gated six-speed manual transmission, a quintessential component for a true '90s Ferrari. 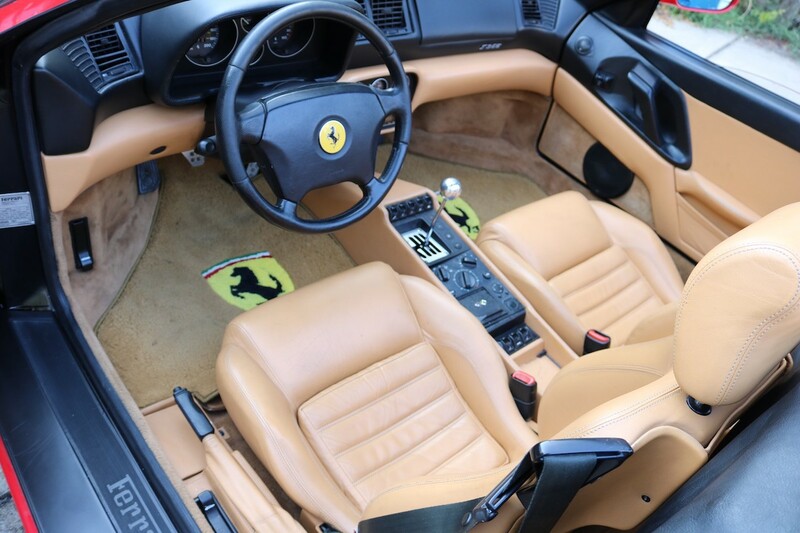 Aside from its servicing, this Ferrari F355 has had some tasteful modifications done to it. The car's original Rosso Corsa exterior color was repainted in 2010, and the folding top has been converted to manual- although the automatic system is included with the car to change it back. It has also been fitted with a modern radio system and FabSpeed exhaust, plus Michelin Pilot Super Sport summer tires from the dealership. This convertible is the perfect entry into the expensive but wonderful world of Ferrari ownership. Despite its old Italian design, this car's clean Carfax history and serviced problems prove that it shouldn't be that expensive to maintain; if you have only have $51,000 to spend on an Italian exotic, this should be high on your list. Thirteen rare Ferraris are up for grabs. Plus, make your home safer with Awair Glow. But does this Ferrari's presidential provenance justify its lofty asking price? Mayweather's insanely rare Koenigsegg will be the main attraction in Monterey.